What do you all think of this baby boy quilt? 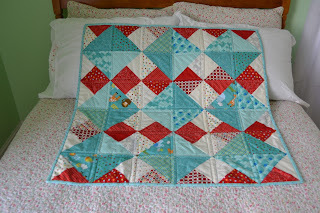 Would you believe it is made from the same square as the pinwheel quilts seen here and here! The tutorial for the magic square cutting and construction is shown here. 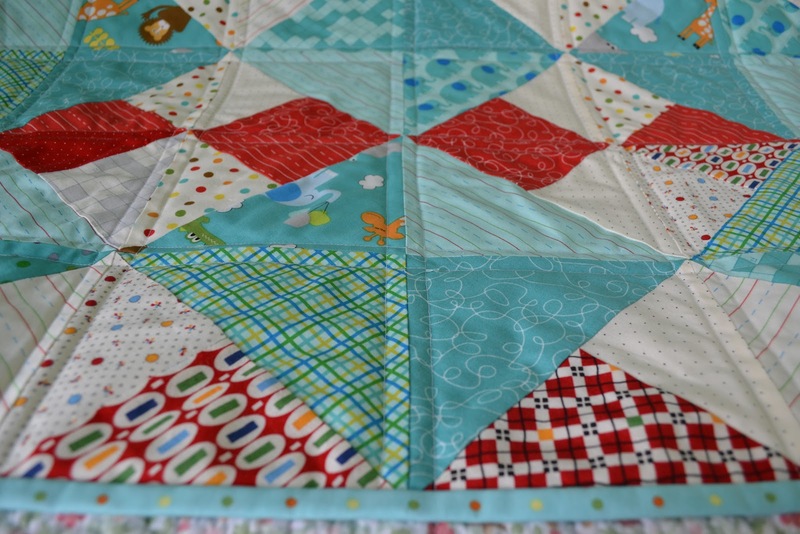 Made from charms and layer cake cuts, this quilt goes together quickly and I loooove the colors for a boy.